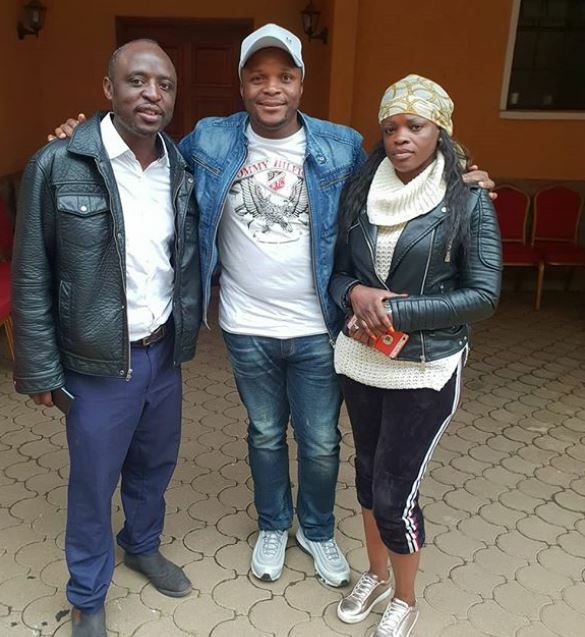 The family of former Harambee Stars striker Dennis Oliech has invited wellwishers for a fundraiser towards the funeral proceedings of their beloved matriarch, Mary Auma. 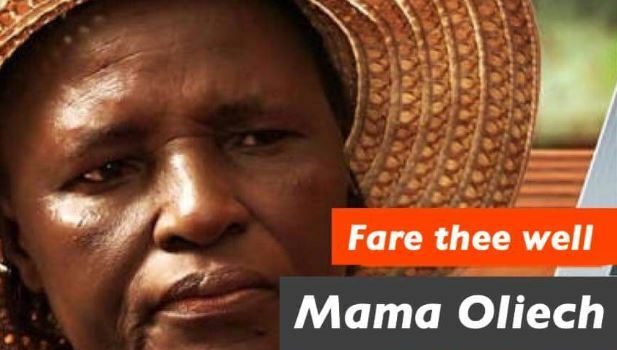 Auma, popularly known as Mama Oliech, died last Friday at her home in Lavington, Nairobi after developing difficulty in breathing. She was also receiving treatment for cancer at the time of her death. 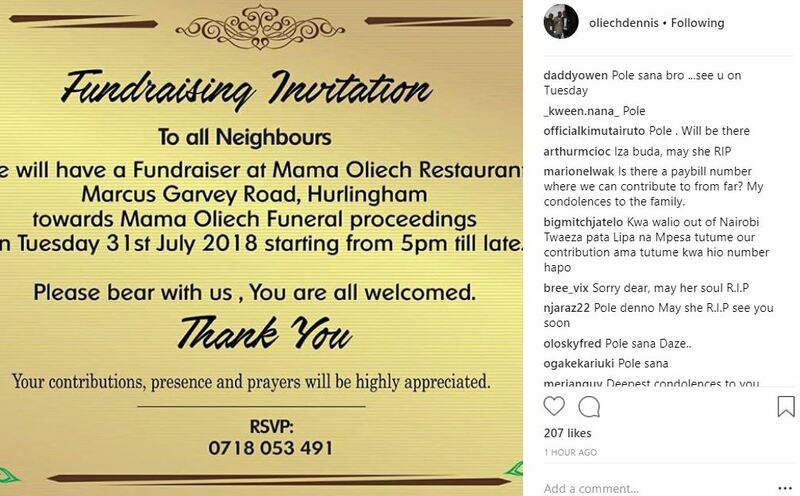 As Kenyans continue to mourn Mama Oliech, her family is calling on wellwishers to help fundraise for her final send off. The fundraiser will be held at the famous Mama Oliech Restaurant in Hurlingham on Tuesday, 31st July. For those who cannot make it to Nairobi, a paybill number is expected to be released to the public soon. The family is also yet to release funeral arrangements. President Uhuru Kenyatta is among the key figures that have eulogized the late Mama Dennis Oliech. 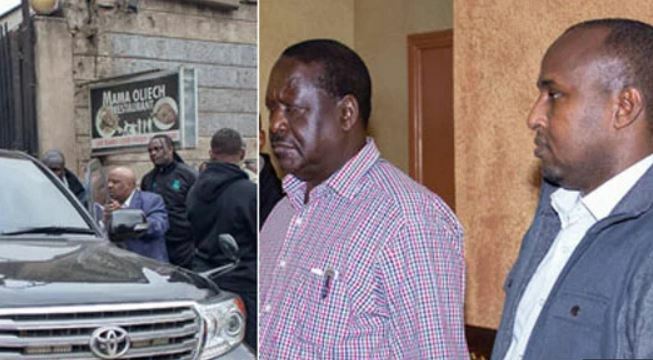 This week Opposition leader Raila Odinga paid a visit and condoled with the family of the late Mary Auma. 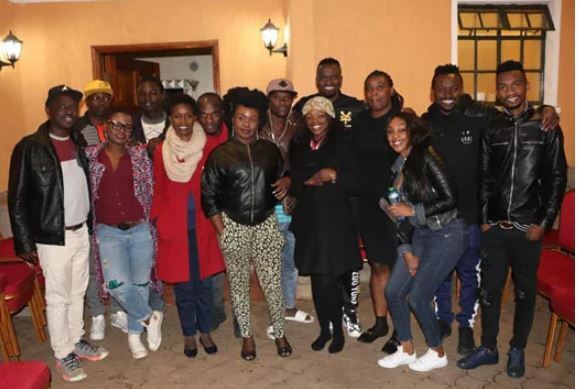 Other distinguished personalities who have visited the bereaved family include Kenya international McDonald Mariga, ex-Harambee Stars goalkeeper Ken Kenyatta, media personality Jalango, and renowned DJ Kris Darling, who is a relative of the family.